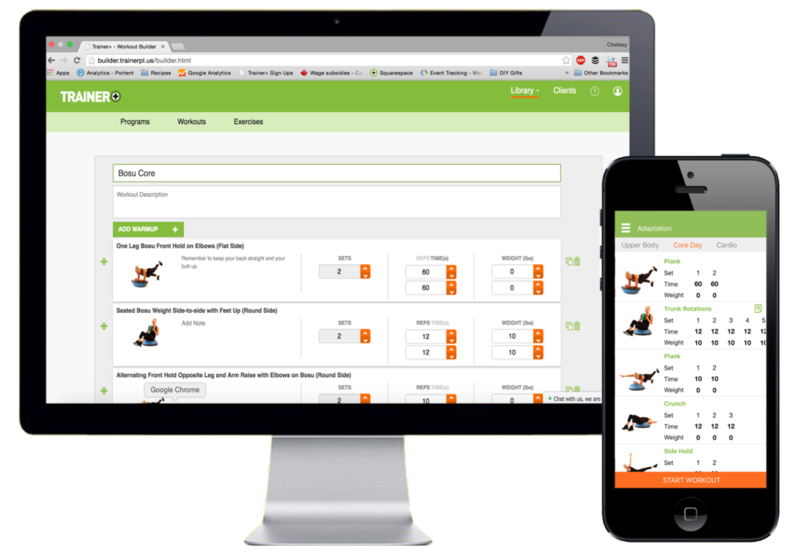 Automated Fitness Management for gyms and trainers. Not a trainer or gym owner? Click here to see how we can help you track your fitness. Trainer+ is a flexible and easy to use automated fitness management platform for gyms and trainers. What is Automated Fitness Management? Technology is capable of doing a lot more than just online training and selling pre-made plans. Trainer+ gives trainers and managers all the tools they need to manage all of their members/clients in different degrees of fitness support. The platform creates new support pathways to help deliver any service model with a more long term focus and more frequent interactions. Want to see how it works for you? Keep members engaged beyond the walls of your facility. Focus on support and stay connected with your clients in person and online.